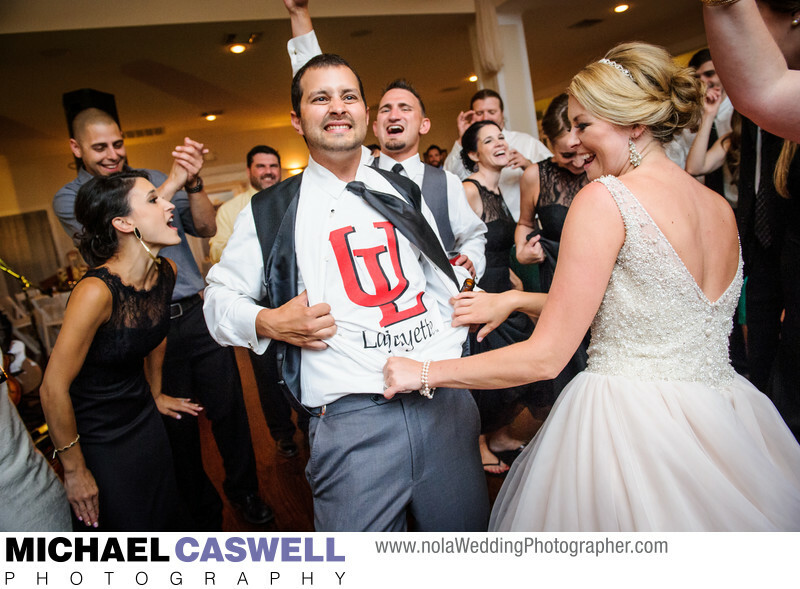 Near the end of their wedding reception at the Grand Coteau Ballroom, things get a little crazy as Seth pulls his dress shirt open Superman-style to proudly reveal his University of Louisiana Lafayette t-shirt underneath, much to the delight of his bride and the guests, including his sister Sarah (whose wedding I photographed a few years before at Board of Trade in New Orleans). Cassie Thibeaux of Southern Fete was the wedding coordinator for this fantastic acadiana wedding, and was great to work with. Location: 162 E Martin Luther King Jr Dr, Grand Coteau, LA.